Full Tilt Poker is a larger poker room that isn’t a part of any poker network. They have a large assortment of both cash game tables and tournaments, and runs the famous Full Tilt Online Poker Series (FTOPS). For many years, Full Tilt Poker was the second largest poker room online and PokerStars main competitor. In 2011, the site went through serious legal and financial trouble and was taken offline. The following year, Full Tilt Poker was purchased by PokerStars, thus putting an end to the legal and financial woes. Full Tilt Poker was relaunched, but has so far failed to return to its former glory in terms of cash game traffic. It is a very popular poker room though, just not as popular as it once was. 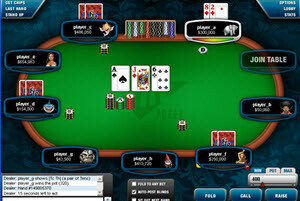 Full Tilt Poker has its own proprietary poker software. You can download a poker client (for Windows or for Mac OS) or play directly in your browser. There is a Full Tilt mobile app for devices running Android 2.3 or above. It works as long as the screen resolution is at least 800 x 480. The app allows you to play a wide range of poker games for real money or free play chips. There are no tables devoted to 2-7 Triple Draw or Badugi, but both of these games are played at some of the mixed-game tables. Full Tilt Pokers variant of fast poker is called Rush Poker. As soon as you discard your cards, you are moved to a new table and given a new hand. Just as with other types of fast poker, Rush Poker ensures that you don’t have to wait around for other players to finish a hand you are no longer involved in. Full Tilt Poker has a large assortment of both scheduled tournaments and Sit & Go’s (including S & Go Steps and S & G Matrix). There is something available for everyone, from freerolls and low buy-in tournaments to high stakes tournaments with huge buy-ins. When the buy-in is large, there are usually qualifiers available. This is especially true for tournament with big guaranteed prize pots and tournaments where you can win travel packages to offline poker tournaments. For some of the tournaments, Full Tilt Poker allows late registration, which means that you can buy in to the tournament even after it has started. The poker tournament series Full Tilt Online Poker Series (FTOPS) is arranged roughly four times a year, and is followed (one month later) by a MiniFTOPS that has the same tournament schedula as FTOPS but with much lower buy-ins. FTOPS was launched back in 2006 and has grown considerably since then. During an FTOP, a lot of different poker variants are represented in addition to staples like Texas Hold’em and Omaha. The tournament schedule will also feature a lot of different tournament formats. During FTOPS, there will be special challenges and you can win prices for accomplishing them. Some are pretty easy to accomplish while others are considerably more difficult, e.g. win 30 hands without showdown or get to the money in at least 16 tournaments. At the time of writing, Full Tilt Poker is one of the five largest poker rooms / poker networks online in terms of traffic to the cash game tables. Before the 2011 debacle, Full Tilt Poker attracted a lot of professional poker players. When the site vanished, they moved on. When Full Tilt Poker was put back online again in 2012, only a part of those professionals returned. Compared to how it was before, Full Tilt Poker today has more soft players and less tight-aggressive players. When you complete your registration you get a no-deposit bonus worth $10. It consists of two Rush Poker tickets (each worth $2) and six Jackpot Sit & Go tickets (each worth $1). When you make your first deposit to Full Tilt Poker you get a 100% bonus up to a maximum of $600. Full Tilt Poker has a $155 recruitment bonus. Gather points in Full Tilt Poker’s loyalty program and use them as buy-in to tournaments. Regrettably, there is no phone support or live chat support. You can only reach the support by email. The email address is support@fulltiltpoker.com. The support staff speaks English. 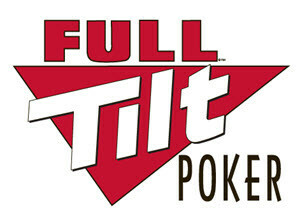 Full Tilt Poker opened in 2004. For many years, it was the second largest poker room online (only PokerStars was bigger). In 2011, Full Tilt Poker encountered serious legal and financial problems and lost its Alderney gambling license. 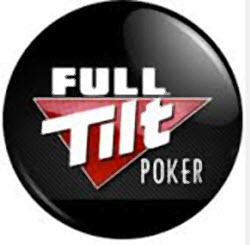 In 2012, Full Tilt Poker was acquired by PokerStars and relaunched with a gambling license from Isle of Man. Since 2014, PokerStars – and consequently also Full Tilt Poker – is a part of the huge Canadian gambling company Amaya Gaming Group.